Eighty members gathered at the Club on Saturday to celebrate the Club’s eightieth anniversary. This was combined with the annual Prize Giving evening with members of all generations joining together to be recognized and to celebrate. Starting in 1938, early members launched their boats from the beach at Stokes Bay with a wooden hut providing their shore base for drying cotton sails before their activities were interrupted by WW2. In 1946 the Club resumed its activities using the very solid two-story building constructed to control the D-Day embarkation. Annual subscriptions were set at 10/6 and “Bystander I”, the first of many rescue boats was purchased in 1950. 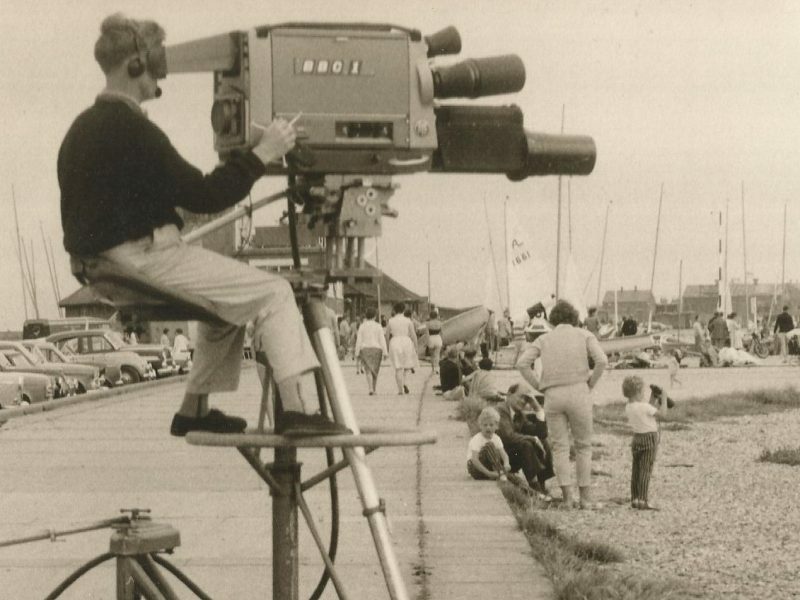 During the 1960’s, the Club played an active part in popularising sailing nationally with its organisation of major sailing events as well as being the venue for the BBC programme ‘Grandstand’ in the first attempt to present sailing as a spectator sport. With regular club racing now attracting a variety of craft from catamarans to foiling Moths, championship boards featuring over 250 names and up to 50 children sailing on Saturday mornings in the summer, the Club is looking forward to the next eighty years.